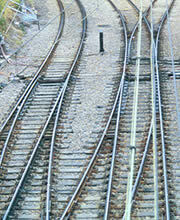 We can assist from the development of railway infrastructure projects through to their completion. This includes project planning, configuration and operational analysis and planning, contract management. We develop track possession programmes covering the whole of projects and develop detailed programmes for the individual track possessions. With the client we develop system assurance plans using a systems approach commencing from system configuration through risk analysis, risk assessment and management, the development of alternatives, and system modelling. Assistance in the documentation of the civil infrastructure management aspects of applications for accreditation, including risk identification, risk control, engineering systems safety, configuration and safety management . Technical assessment of railway civil infrastructure proposals. Development of procedures to meet the clients quality management systems. Technical standards review and application. Work methodologies and process identification and control. Infrastructure assessment and condition auditing.